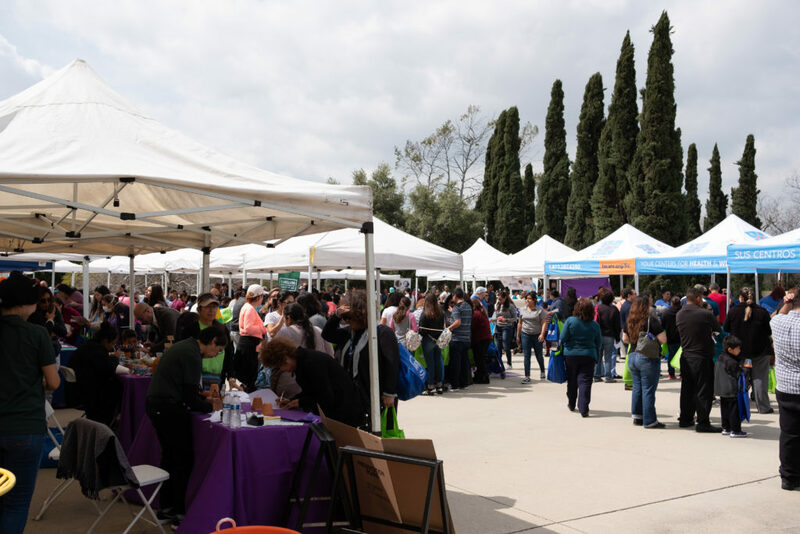 More than 1,000 community members gathered at the Wellness Center at the Historic General Hospital March 23 to celebrate its fifth anniversary serving the Boyle Heights community. The center opened its doors in 2014 to offer no-cost health and wellness referral and support services to the community and patients of LAC+USC Medical Center. Families, kids, teens and seniors came together to celebrate this milestone. 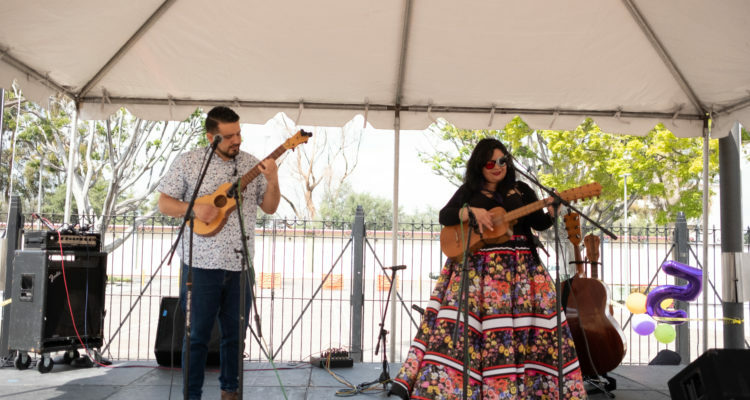 The group La Sonora Dinamita played Cumbia music for the large crowd. Volunteers served a healthy meal and set up activities for kids. More than 30 different organizations participated, and many provided resource tables for the community. Nineteen-year-old Cassandra Castillo, a Boyle Heights resident who attends East Los Angeles Community College, has participated in the WELA YMCA Youth Institute and received services from the East LA Women’s Center, both housed at The Wellness Center. She says it’s important to her to have nearby places to go for these services. “They help us become more aware of issues happening in our community, and they help youth take action,” said Castillo. The Seeds of Hope gardening program gives an opportunity for people to garden at the center if they lack space at home and provides a form of therapy for some. Vegetables grown from the program are distributed to participants and other community members. Diego Rodrigues, 37, is the chief operating officer for Alma Family Services and a mental health services provider at The Wellness Center. Alma Family Services provides community members with counseling, psychotherapy, case management and supportive services. It also helps connect people with other services that may be beneficial. Rodrigues says he and his team are currently working on outreach programs to raise community awareness of mental health and the therapy services available at The Wellness Center. Juana Mena, 48, a volunteer with the Building Healthy Communities organization said she not only works to inform the community about the opportunities available at The Wellness Center, but uses them herself. The County of Los Angeles, Supervisor Hilda L. Solis, The California Endowment, L.A. Care Health Plan and public and private funders support The Wellness Center. [Disclosure: The California Endowment also supports Boyle Heights Beat. ]For a monthly calendar of exercise and workshop activities, visit: www.thewellnesscenterla.org.